In the other, Ms. Marvel (Kamala Khan)! - Average teen with extraordinary Inhuman abilities. 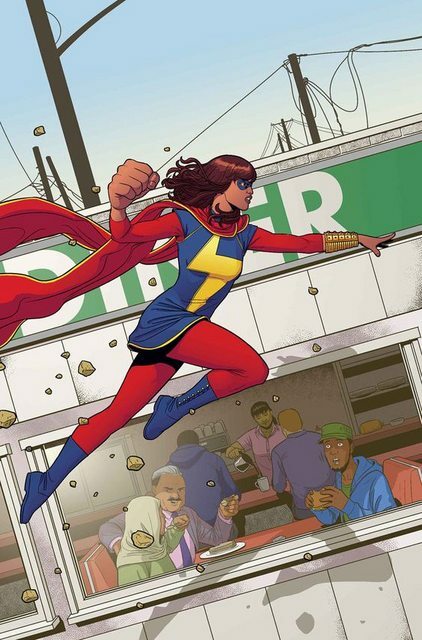 - Idolizes Captain Marvel, protects Jersey City. - Ability to grow, shrink, and stretch her body. This poll will close on April 10th, 2016! Tough call, but I'm going Hobgoblin since I'd rather wait a little on Kamala and see if she gets a cheaper mini. I like her odds, since she's such a break-out character and she has both Avengers and Inhuman ties. Wouldn't mind either character winning this one, though. I thought there was more than one Hobgoblin (or more than 2). There have been at least half a dozen Hobgoblins, actually! This one would be Roderick Kingsley, the original, so I went without specifying a secret identity - he's "Hobgoblin" in the same way Norman Osborn is "Green Goblin." There've been a few, but the most famous by far is Roderick Kingsley. He's the classic Hobgoblin. He's had three or four flunkies use the equipment, which has inflated the number of Hobgoblins a little. Kingsley retired for a while and Jason Macendale (aka Jack O'Lantern) became the new Hobgoblin, but Kingsley killed Macendale when he decided to come out of retirement and resume his criminal career. The story is actually slightly more complicated than that. Roger Stern, the writer who introduced the Hobgoblin, had always intended for Hobby to be Kingsley. 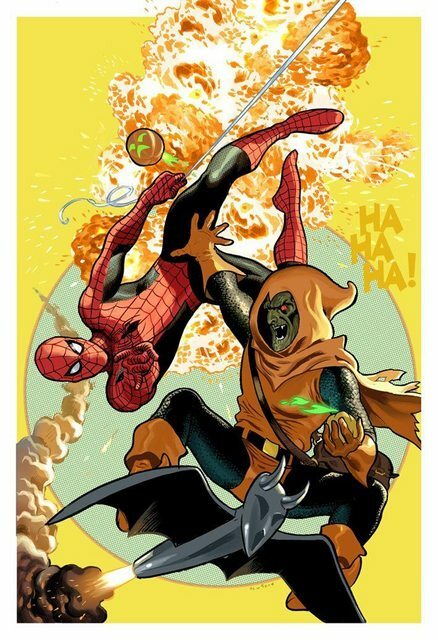 But after Stern left Spider-Man, it was revealed that Ned Leeds had been the Hobgoblin, and Ned was killed off. So Macendale becoming the Hobgoblin was a straightforward legacy thing. But when Stern eventually came back to Spider-Man, he set the record straight on Hobgoblin: it had always been Kingsley! It was revealed that Ned Leeds had been a fall guy. Kingsley had brainwashed Ned into wearing the gear and then killed Ned so that he could retire in peace, with the public thinking Hobgoblin was dead. When he decided to get back in the game, he killed off Macendale so that he would have sole claim to his title. Phil Urich is the third Hobgoblin of note. He's got a slightly different powerset and toolset (notably packing wings instead of a glider, and he's got a sonic scream). He's the nephew of Bugle reporter Ben Urich and was originally a heroic version of the Green Goblin before he went bad and became the Hobgoblin. Kingsley has allowed him to operate as the Hobgoblin, so long as he pays licensing fees. The version we're voting on is Kingsley. The original and the most widely known. Maybe if you're a lot handier with paints than I am, she does. Went with Hobgoblin on this one. I've had his mini now for a few years with no card to show for it. Sorry ms marvel, but I have a strange thing for goblins that I just can't explain. Also, I'm with Yoda on having the mini forever now. It needs a rightful card. - The demand for Hobgoblin is so high that you're probably going to get him this year anyway, so why not vote for a character that would otherwise take longer to get released instead of one who's almost guaranteed to get made soon? -She had a team up with Wolverine, and with Spider-Man! This is an absolute heartbreaker for me, because I want both characters so strongly... but Ms. Marvel is trailing so she gets my vote! I expected this to be the closest match in the first round, too. Shows what I know.